Walter Manning and Robert Quesal join Peter Reitzes to remember Gerald M. Siegel. 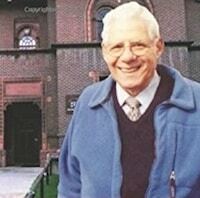 Dr. Siegel passed away on November 17, 2014 at the age of 82. 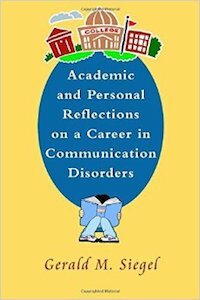 Today on StutterTalk we remember Dr. Siegel by discussing his memoir Academic and Personal Reflections on a Career in Communication Disorders. We discuss accountability (a precursor to evidence based practice) in speech-language pathology, Dr. Siegel’s work in operant conditioning, loss of control in defining stuttering and so much more. Gerald “Jerry” Siegel spent his first 21 years in Brooklyn, NY and graduated from Brooklyn college with his BA in 1954. Just three years later Siegel completed his PhD at the famed University of Iowa. Siegel spent forty years in academics and more than 30 years at the University of Minnesota’s speech pathology department. In 2002 Siegel was awarded the Honors of the American Speech-Language-Hearing Association. Siegel was interested in much including stuttering and language development and stated in his memoir that he preferred being a researcher over being a therapist. In addition, Siegel played guitar and sang, was a prolific writer, and loved handball. Siegel shares in his memoir that when he began his studies in 1949, “there were fewer than 1,500 members in ASHA.” Robert West, the first president of ASHA, was one of Siegel’s professors. Siegel studied with Wendell Johnson, Dean Williams and Oliver Bloodstein, pioneers in stuttering research, and developed a friendship with perhaps the most famous pioneer in stuttering, Charles Van Riper. Read more about Gerald Siegel here at the Stuttering Homepage.